Since CPT Code 98943 (which is chiropractic adjustment to the extremities) is a procedure performed by exclusively by chiropractors, there seems to be some misunderstandings and misinterpretation of proper coding rules when it comes to getting paid. This certainly is not a one-sided problem. Both chiropractors and insurance payers appear to be missing the mark on how to get 98943 done right. As a result, many chiropractors make a bigger mistake by incorrectly billing for the 98943 code; worse, some avoid it altogether. Either way, this causes chiropractors to lose out on an income opportunity to get paid for their work. Bundling Assumptions – many chiropractors (and some payers) assume 98943 is not a separately payable service and that it is simply included (bundled) in with their spinal adjustment codes (98940-98942). While it is true that Medicare does not reimburse CPT code 98943, most other payers do. 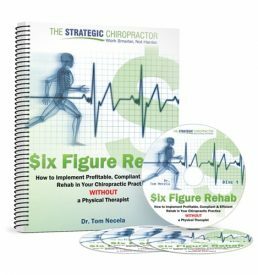 Modifier 51 Madness – other chiropractors go the other extreme to “prove” that 98943 is a separately distinct service. In an effort to get paid, they often (mis)use modifier 51 as a way to indicate that the 98943 is separately payable. First, this is a mis-use of the modifier and shows some misunderstanding. The Modifier 51 is to be used for “Multiple Procedures” that are related, where the secondary procedure is less integral than the primary. This does not apply to chiropractic adjustment coding. Your adjustments are coded by the number of spinal areas that are adjusted (ex: 98940 for 1-2 areas, 98941 for 3-4 areas and 98942 for 5 spinal areas) not by which area is most important. Furthermore, if that logic were true then you would literally have to be using Modifier 51 anytime you adjusted more than one area to indicate which was the greatest priority. Obviously, this is not the case. Perhaps the worst news of all is that if you utilize modifier 51, it signals the payer that there are multiple related procedures being performed and because the procedure attached to Modifier 51 is less important, the reimbursement should be less. In other words, by using Modifier 51 you are giving the payer permission to reduce the reimbursement for you 98943. Finally, according to CPT Assistant December 2013 issue, “these are separate and distinct procedures, and the use of Modifier -51 (Multiple Procedures) does not apply. Modifier -51 (Multiple Procedures) does not need to be appended to the extraspinal CMT code (98943), when billed in conjunction with chiropractic manipulative treatment (CMT) codes (98940-98943).” The CPT Assistant is the guide for professional coders in interpreting the coding rules. So there are three big reasons NOT to use Modifier 51, so don’t! Mangled Modifier 59’s – still other chiropractors attach the Modifier 59 (or its replacements XE, XP , XS or XU) to the 98943 code. Unfortunately, this is still incorrect because Modifier 59 indicates that there is a separate and distinct procedure being performed that are not normally reported on the same day. Obviously there are no coding nor clinical “rules” that prohibit you from adjusting both the spine and the extremities on the same day; therefore this modifier is inappropriate. Even if you utilize another application of Modifier 59, which can be applied to two timed procedures, it still is incorrect. In other words, you can also use Modifier 59 (or its replacements) to communicate to the payer that the timed service you provided was done in addition to the other timed services you also performed on that date – and you want to be paid for both. There’s one catch here in relation to 98943: the code is not timed, therefore Modifier 59 is unnecessary. Either way you slice it, Modifier 59 and CPT code 98943 don’t mix. Policy Interpretations – despite the clear circumstances spelled out above, there are still payers that simply interpret their coding rules differently than standard coding. You really have two choices here (or both): fight and educate the payer on correct coding procedures until they change their policy or realize that that is their policy ( no matter how ridiculous it may be) and steer around it. A perfect example here is Medicare. There’s basically no good reason that Medicare does not cover the 98943 adjustment, other than it’s not in their policy! You can fight it if that’s your bent or just steer around the issue because you know it’s there. Double Dipping – Other payers pay the 98943 routinely, they just apply a “double dipping” policy to the code in the application of benefits. With these payers, every time you bill a 98943, they collect a separate co-pay or co-insurance and count the code as a separate visit. This is obviously maddening. But again, if it’s their policy, it’s best to be aware. Related Benefit Robbing – Still other insurance companies process payments for 98943 and apply it to other categories of services outside of chiropractic. The most common is applying the 98943 code to the patient’s rehabilitative or physical therapy benefits. Again, a double co-pay situation may apply – and you need to be away that the patient will use both a chiro visit and a pt visit (unless or until you can convince the payer of the error of their benefit administration policy). So, what is the correct way to code or bill for th 98943 extraspinal adjustment? Simply code it as 98943, no modifiers necessary. Make sure that you have an appropriate diagnosis code that reflects the extremity problem. And, of course, document the need for the extremity adjustment in your notes, along with what was actually adjusted (since 98943 covers ALL types of extra-spinal adjustments). Additionally, you only need to code 98943 one time for one unit – regardless of how many extremity adjustments you perform. So if you adjust the shoulder, elbow, wrist and fingers, that’s still 98943 in the same way that if you only adjust the right knee, it’s still 98943. Finally, in my opinion, the worst 98943 move you can do is to just give the service away for free because you don’t really understand the code. 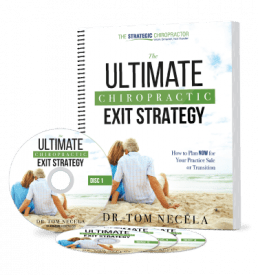 The above situations are the most common problems chiropractors encounter when billing 98943 extraspinal adjustments, so you should now be able to navigate this code to get you paid for the good work that you do!